This article consists of all the information of one of New Zealand's top most city – Hamilton & Waikato. It is a city-guide article that will brief you about the the places to visit in Hamilton & Waikato. New Zealand offers nothing but a memorable experience that lasts with a tourist forever. And the country's cities are just splendid in terms of beauty, architecture, landscapes, cafes & restaurants and so on. The Hamilton-Waikato region lies to the South of Auckland and is well-known for surfing beaches, lush greenery, dense forests and ecology. This city is a vibrant hub that consists of so many attractions and nature-based activities. 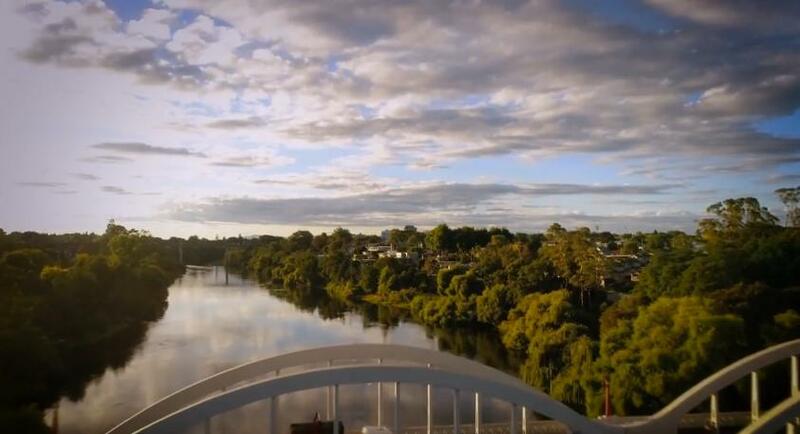 The Hamilton-Waikato region offers tons of activities and options that you can choose ranging from walking to cycling, hiking trails, mountain bike rides and a casual walk to the famous Waikato River. It is also well-known for a popular spot that is 'Maungatautari Ecological Reserve' where the travellers can explore the dense forests that lasted for thousands of years. The whole region of Hamilton-Waikato also offers stunning gardens, captivating views of mountain scenery, shopping stalls & shops, eateries and world-class cafes & pubs. Here is the list of the top things to do in Hamilton & Waikato. This is one of the best places to visit in Hamilton. If you have seen the movie 'The Hobbit' then you must be familiar with all the backdrops & characters. Well, this place is for Hobbit fans. And if you're a Hobbit fan then you must definitely visit this place. 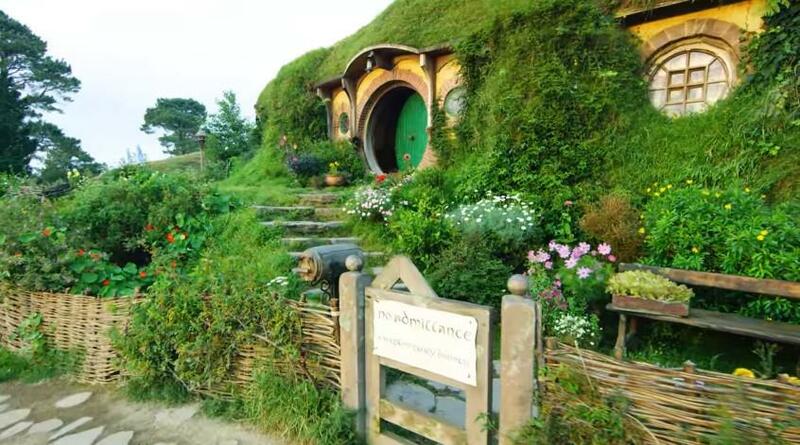 The Hobbit movie set is located at Matamata that will give you a journey of the whole evening. Before enjoying your dinner, visit the Party Tree and Green Dragon Inn in the Green Dragon dining room. You can hire a local tour guide to give you brief about these places. Get on a subterranean adventure ride under the caves of Waitomo which will give you a thrill experience.Its one of the main attraction in Hamilton.This cave is filled with spectacular limestone caverns. It is one of the best caving exploration site that you can ever visit. Travellers here are dazzled by lightning glowworms. 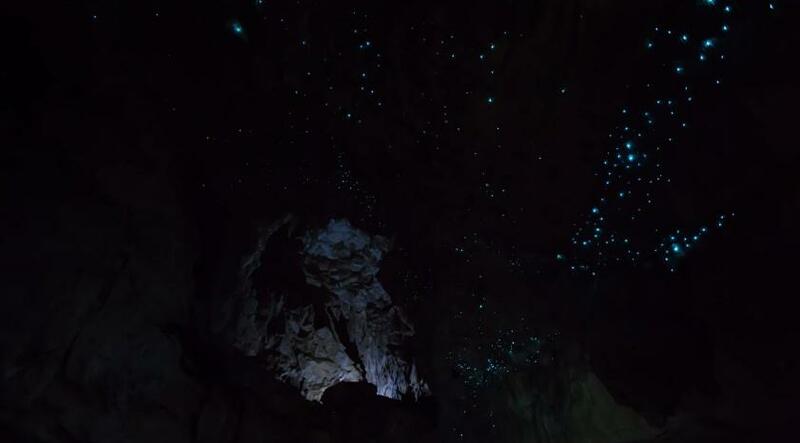 Take a ride on a boat and see the whole formations of limestone and twinkling glowworms. You can also opt to do ziplining, rafting under this cave. Another major Place to visit in New Zealand is Raglan, located to the west of Hamilton. It is beautiful coastline with splendid beaches and crystal clear blue water. This destination got featured in the surfing movie 'Endless Summer' in 1966. Since then it is considered to be the mecca of surfing. If you visit this place, you would find top surfers around the world taking part in various surfing competitions. Hamilton Region has a collection of numerous hardens & parks.Its one of the best Places to visit in New zealand. And also these gardens are most visited by foreign travellers. Gardens here have become a highlight of the whole region. It consists of arrays that includes different country style – Japanese, Italian, French, a rose garden and so on. You have to visit this location if you're looking for a place to relax and compose yourself. The region of Hamilton-Waikato includes number of towns that are just spectacular to look out for. Here is the list of some towns that lies in the region of Hamilton-Waikato . Matamata is one of the places to visit in Hamilton for film-shooting. If you have watched the movie 'Lord of the Rings' & 'The Hobbit' then I am sure you would know this place. Matamata lies to the south of Auckland in the Hamilton-Waikato region. This place has a huge amount of lush greenery and rolling hills which are just a treat to watch. And this maybe the reason why directors of these films chose this location. You can go on a guided tour of Hobbiton Movie Set which will brief you about everything – place, hobbit holes and so on. This place has 44 unique hobbit holes, houses on rolling hills and Bag End (Bilbo's house). Explore the heart of Shire and get to see the captivating views of all the houses and holes. There is also North Island's highest waterfalls that is the 'Wairere Falls' which stretches up to 153m height. You can enjoy stunning views of magnificent hills and Waikato plains over the waterfall. Karapiro is well-renowned rowing venue and also a man-made lake and its one of the main attractions in Hamilton. It is one of New Zealand's premier rowing venue that offers you tons of activities to choose from. It is located at the Waikato River and very famous for water-sports like kayaking, canoeing, yachting and so on. Travellers from all around the world come here to see and enjoy water activities. Also, camping & lodge facilities are made available for tourists at Lake Karapiro Domain. This place is also a paradise for cyclers and riders that gives them easy access to ride bikes on 'Te Awa Cycle Trail' & Waikato River Trails. Shops, cafes & restaurants and local art galleries provides tourists enough time to explore. Cambridge is considered to be the 'the town of trees and champions'. This place is well-known for detailed architecture, antique shops and scenic beauty. It is located nearby Waikato horse breeding district where many preserved heritage buildings were constructed. One who is fond of history and architecture should definitely visit this place. Cambridge is known for horse-breeding and is also a winner of the Melbourne Cup. If you want to take souvenirs home, then this place offers a lot of antiques & art. Jet-boating here is really famous which you can opt to do in Waikato River. Great blog which gives the feeling of an amazing city to tour in Hamilton and Waikato ! Tourists are advised to travel with a professional travel agency to make a memorable trip and to avoid difficulties at their places of visit. Such a travel agency is Arabian Time Travel Tourism, which is one of the best travel agency.